Club projects are the backbone of any Rotary Club. 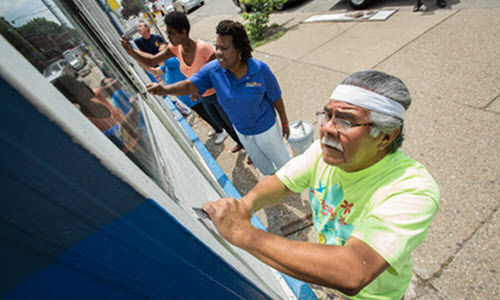 Rotarians are people of action and projects that make a difference are why we are here. 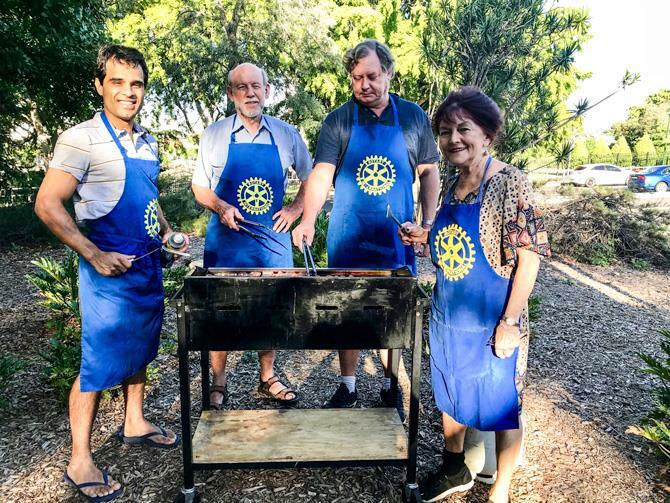 During its history the Rotary Club of Brisbane has carried out many projects large and small, outstanding and merely helpful. Unfortunately, details of most projects have been lost in the mists of time, but below we have a selection of historical projects that gives a picture of what we do. 1959 Gundoo Week which later developed into RYLA, now a world wide project of Rotary International. The Rotary club of Brisbane has sponsored Sponsored RYLA students in most of the years of its existence. Establishment of International House at the University of Queensland. Establishment in 1977-78 of the Queensland organization of the Child Accident prevention Foundation of Australia. The Club gave $10,000 to this while individual Rotarians helped in raising an additional $60,000. 1987-88 Construction of caretakers house/reception centre at Shaftsbury Citizenship Centre, for which $20,000 was put aside awaiting completion. The handover was made next year provided at a well-attended ceremony, following the provision of a further $5,000 to complete the building. 1976-77 Rotaract formation and sponsorship. Rotaract Club of Brisbane City was very active in 2000-01. Joint Sponsorship with other CBD clubs of establishment of Rotaract Club of Brisbane CBD 2014-15. Joint Sponsorship of Establishment of Rotaract Club of Brisbane RiverCity 2014-15. 2015 Refurbishment of Sundial (Brisbane Rotary & Rotaryanns project from 1979) at Petrie Terrace State School 2015. 2015 ongoing providing mentors for the board of Aunties & Uncles http://aandu.com.au/ and BestLife https://bestlifefoundation.com.au/ with assistance in arranging funding and assistance with management procedures. 2016 Providing $5000 for the Daniel Morcombe Foundation for a specified project regarding education of school children, assisting educators and parents in the education of children about their personal safety. Establishment of the Queensland Society for Crippled Children, now know as Montrose Access, one of 6 established nationally by Rotary. Establishment of Hilcom Limited – workshop for the disabled, developed into the Help Enterprises. 1986-87 Provision of $20,000 to assist in the construction of a Therapeutic Pool Complex at the Montrose Home for Crippled Children. Seed funding to Operation Kinder – Community project at Riverview. In 1980-81 the Pony Riding for the Disabled Association at Moggill had land and horses but not the means of keeping the place in good order. Equipment was provided for the maintenance of the land, together with a shed in which to house it. For this the club gave $2,500, which was subsidized 4:1 by the Commonwealth. An additional $2,500 was given towards the cost of operating, subsidised 1:1. Thus a total of $17,500 went to the association. More than 20 years on, the Association and its activities are in good shape (now known as McIntryre Centre Riding for the Disabled and amalgamated with Help Enterprises. Assisted in establishment of Vision Queensland in 1995-96 to support vision impaired workers and raised $4,500 towards that. 1978-79 Establishment of NADOW, the National Association of Disabled Office Workers. President John Woodhead who was very active in this and other things established the National Association for Disabled Office Workers (NADOW) ,which had arisen in Sydney), here in Brisbane. It continued successfully for some years and the club continued to provide some financial support. 2006-09 Contributed substantial funds to the Canine Helpers Guide Dogs for the Disabled Association over 3 years. 2015 Setup of Mentors for Charities Program. In 1977-78. The Queensland Surf Life Saving Association had been for decades providing an invaluable community service while living from hand to mouth in terms of finances. President Wal Bishop decided that we should and could establish a Foundation which would provide a sound financial base; one with sufficient capital to earn some regular income beyond what they depended on. This was pursued with vigour and success, resulting in the establishment of a Queensland Surf Lifesaving Foundation with an initial investment of $107,000. This was achieved through a public appeal ($28,450), a Motor Car Art Union ($8,221), and a Miss Brisbane Rotary Quest ($21,669). There was a generous State Government subsidy of 75c in the dollar. Provision of a Mobile Canteen for the Salvation Army in 1975 following the 1974 floods in Brisbane. Establishment in 1979-80 of the Queensland organization of the Child Accident prevention Foundation of Australia. The Club gave $10,000. to this while individual Rotarians helped in raising an additional $60,000. Furnished a unit at Wesley Rotary Lodge. Donated medical equipment to Prince Charles Hospital and Honiara Hospital. Provided a mobile first aid caravan for Moreton Island in 1994-95 ($22,500), handed over to a community group in 2014. 1995-96 Production of “Your Move” first aid adventure video. Joint project 2001-02 with the Rotary Clubs of Stones Corner and Brisbane High Rise for the Combined Brisbane Rotary Clubs Art. Spectacular 2002 and we gained agreement to make the Salvation Army Mobile Kitchen project the major beneficiary of the Art Spectacular. On 24th June 2002, a cheque for $23,356 was presented to the Salvation Army for this project, representing 50% of the net proceeds. Our special thanks go to the Rotary Club of Stones Corner for offering us the opportunity to take part in the Art Spectacular 2000. Charity golf days joint with and support of Diabetes Australia. At the start of the year 2001-02 the club saw the need for a shelter for homeless women and girls in the CBD, and budgeted $20,000 seed money to start this project. After the announcement at our first club assembly, we found that the Salvation Army and the Queensland Government had also seen this need, and the Salvation Army had plans prepared to convert one floor of “Pindari”, the Men’s Hostel in Spring Hill, to be a homeless women’s shelter. The board agreed to support this project, making it highest priority, and the three other CBD Rotary clubs also agreed to be involved, making it another joint project. The Queensland Government agreed to fund the conversion, with the four CBD Rotary clubs to organize the furnishings for the 19 rooms and the common facilities for the project, at a cost of $4,000 per room. The new shelter is scheduled to open in September 2002. The Rotary Club of Brisbane provided $8,400 for the project, including a $4,000 donation from Rotarian Sir Robert Mathers and $2,000 from the Receptions to mark the visit of the Matthew Flinders Bicentennial sailing ship Windeward Bound hosted by the club, and from the Antique Fair 2002. Provided scholarships and mentoring for homeless youth administrated by the Brisbane Youth Services over 3 years 2012-2014. Continued contribution to Brisbane Youth Services 2015 http://www.brisyouth.org/. In 1976-77 a new fund raiser was the Brisbane Rotary Art Show, held in the MLC Building and opened by the Governor. It raised $3,000 and Art Shows in various forms ,at various locations but not every year, were to continue for some years. In 1984-85 establishment (from Melbourne) of and resources for Bridging the Gap – Job Help Inc, a highly successful job help program. Provided vehicles for Red Hill Special School, Blue Nurses, Vision Queensland. In 1988-89 installed a time capsule in the Brisbane Botanic Gardens near the Edward St entrance to commemorate the Australian Bicentennial. In 1992-93 to make a physical mark of Rotary’s presence in the city (we did not really have one, in spite of our many years here), a historical plaque was placed in South Bank, engraved with a view of the city skyline of 100 years earlier, to be seen in the direction of one’s view. Foodbank Queensland cold boxes and trailers project, with $2,500 raised through a fine wine raffle and donations, and presented to Foodbank Queensland in April 2002. 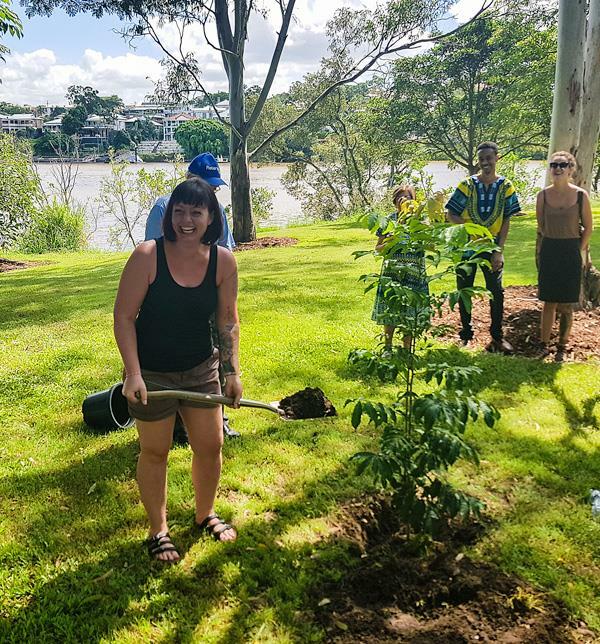 This was put forward by President Mike Evans of the Rotary Club of Brisbane North, and became a joint project of the four Central Business District Rotary Clubs. Hosted a gala charity dinner and appeal and raised $$$ for support to communities devastated by Cyclone Yasi and provided university scholarships to 1000 students in the area. As a Gold sponsor donated $25,000 for the Brisbane City Hall Restoration in 2012. Significant fund raising over many years through profitable wine sales projects. Obtained substantial contributions from sister clubs RC Charleston, South Carolina USA, Tatpei Tatung, Taiwan and Kobe East, Japan to the 2011 D9600 Flood appeal together with own contributions. Provided funds for a counsellor for the Smith Family and assisted with the annual Christmas presents distribution. 2014-15 Drought Funding South Burnett Farmers 2014 $5,000. 2014-15 Drought Funding Longreach Community Farmers 2015 $5,000. In 2014-15 provided volunteer marshalls at the Brisbane Centenary of Anzac March. Working up a joint program with Shaftsbury College to provide weaners to be raised at their Arethusa College Barambah Creek campus to provide training for students, profit for the college and benefit Foodbank. 2015 Developing a mentorship program for charities in need of support with a pilot program being developed in conjunction with the Lord Mayor’s Charitable Trust. The club is holding funds for this, including a $5,000 donation in 2012-13 from Rtn Clive Mormon. 2015 Assisting the Rotary Club of New farm with Carols in the Park. Started Donations in Kind (DIK) and provided continuous support as it expanded to District and Northern Region. Hosted the 2003 RI World convention. Joint project in 2001-02 with sister club RC Tsim Sha Tsui contributing US $1,200 each for vocational tools and equipment for the Badili Vocational School, PNG. Half of this supported a matching grant application jointly with the Rotary Club of Boroko. Joint project I 2001-02 with matched Club the Rotary Club of Port Moresby in their portable school desks project, by agreeing to contribute $1,000 for the purchase of 200 desks. Special grants obtained for a water tank, serum supply and other medical equipment for Aitape, Papua New Guinea. 1992-93 Death Adder vaccine provided to Ataipe, PNG supplies of which were maintained, and in consequence of that, apparently many lives have been saved. In conjunction with PNG clubs, provided relief funds for affected communities from the Tsunami in PNG. PNG Dental program 2007-08 $6,000. Support for Shelter Boxes program including $12,000 in 2007-08. Support for World Vision Children. matching grant with the Rotary Club of Las Heras, Argentina to purchase and install computers in a school community centre for teachers, students and members of the community to become computer literate. 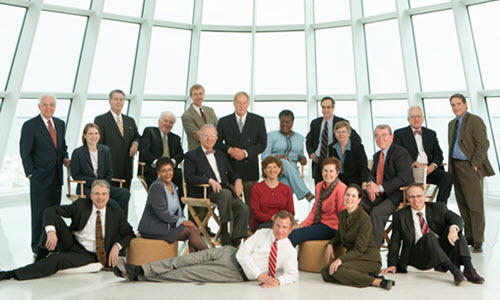 Continued support for the Rotary Foundation and since 2010 all members contribute $100/year as a centurion club; in 2012 committed $12000 over 3 years to Polio Plus. International Service project in association with sister club RC Taipei Tatung Taiwan provided $5,000 for their 30th anniversary celebrations in 2013-14. Earthquake aid in Japan 2010-11 $5,000 sent thorough sister Club RC Kobe East. 2015 Nepal Earthquake Disaster through Rotary Club of Katmandu Metro $2000. 2015 Shelterbox http://www.shelterboxaustralia.com.au/ Display for two weeks in the Brisbane CBD with assistance from Rotary Clubs of Mid-City and Highrise plus Rotoract Rivercity. Apply now by clicking on the "Join Us" button at the top of the page. Giving to your community shows you care. We work with groups and organizations of all sizes to accomplish even more. We make our effort felt internationally. Discover and celebrate diverse perspectives with your local community. Help starts at home.